Speakeasy aka Black Cherry Rum — Bedlam Beard Co.
Speakeasy…secret, distinct, exclusive clubs that embraced the outlaws and ability to make your own choices, and be your own person. Speakeasy is Black Cherry, Brown Sugar, Vanilla and Bay Rum. A warm scent with highlights of Black Cherry…Speakeasy might be the best kept secret. 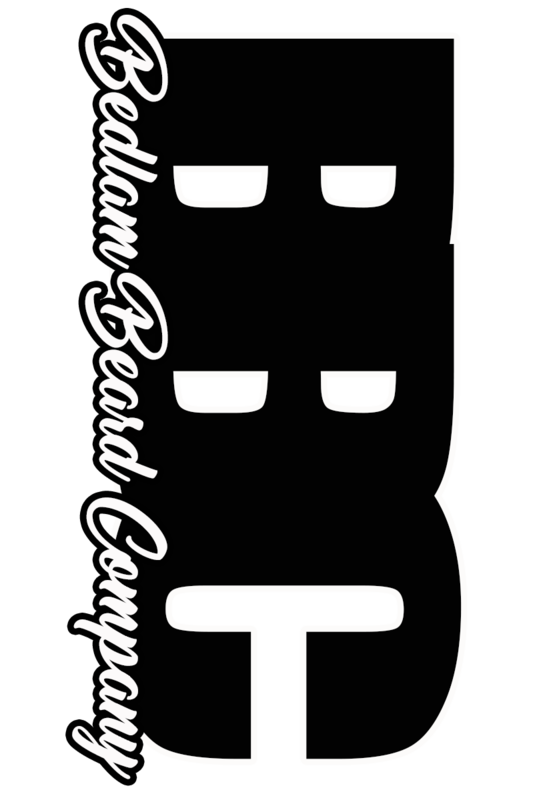 Here at Bedlam Beard Company, we handcraft mens’ grooming products (beard oils, balms, butters and washes). We take pride in using only quality essential/fragrance oils and natural carrier oil blends (sweet almond, grape seed, golden jojoba, avocado, castor, apricot, sunflower and fractionated coconut (MCT) to offer the best ingredients for your beard. Our products stimulate healthy hair growth, prevents split ends, protects against harmful UV rays, and provide natural skin conditioners that alleviate the itchiness of beards, also helps with damaged or dry facial hair, rich in Vitamin E.